Everything was perfect room host location pool couldn’t fault it. The owners are perfect hosts. They make us feel like we are part of his family, always worried about our well-being. Excellent location and accommodation well equipped for our needs. 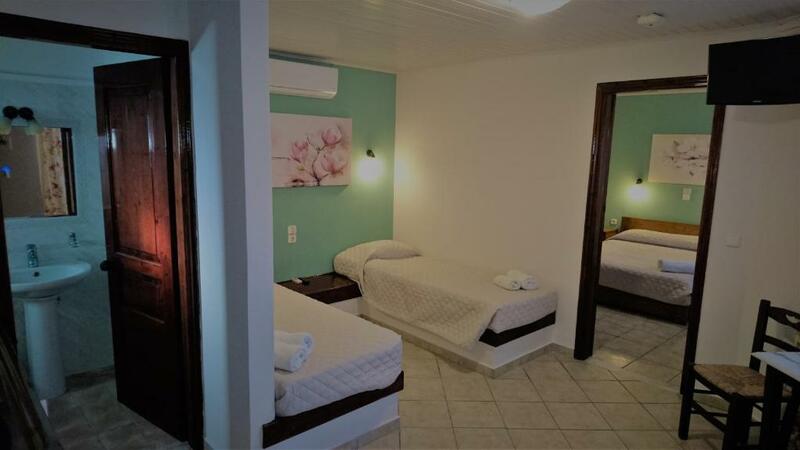 Quiet environment , Good pool , Parking available , Great hosts . Its very nice a beatiful place, it is quiet and pretty. The pool area is very beatiful and is also very close to the city and in very nice location. Ruim appartement dichtbij de winkels en restaurants gelegen, maar toch erg rustig. De douche (ruim met regen- en handdouche) was heerlijk, nog nooit zo'n goede douche gehad in Griekenland. Ook handig: kastruimte op de slaapkamer voorzien van voldoende hangertjes. Tevens is er een kluisje aanwezig (gratis). Heerlijk appartement, een aanrader. Camera accogliente e pulita. Dotata di tutti gli accessori e comfort. (Asciugamani/aria condizionata/phon/bollitore/pentole/piatti/posate Gli hosts sono molto gentili e disponibili. La posizione della struttura é ottima in quanto vicina a supermercati/farmacia/Car rental/ufficio La struttura offre la piscina, attrezzata con lettini e ombrelloni. 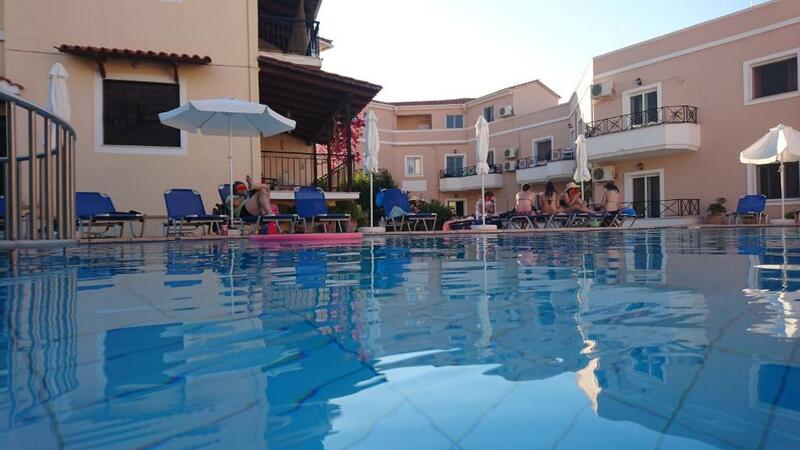 Lock in a great price for Doras Zante Studios & Apartments – rated 9 by recent guests! 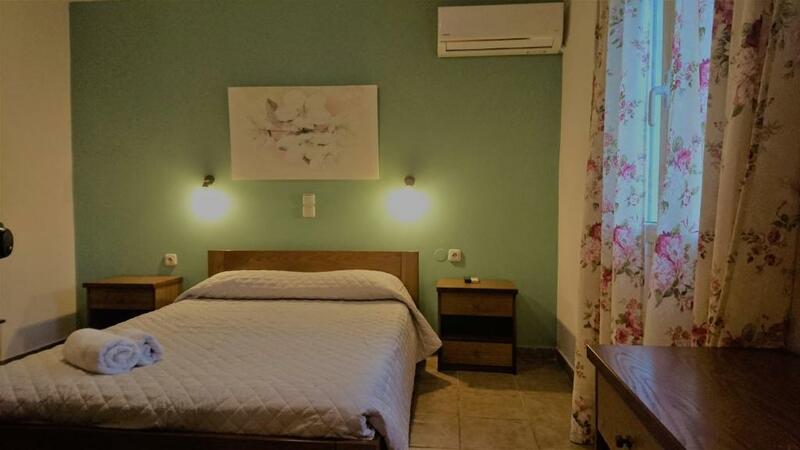 One of our top picks in Argassi.Located in Argassi, Doras Zante Studios & Apartments are 150 feet from the center and 350 feet from the beach. A pool with a shallow section for children and sun-lounger terrace are featured. 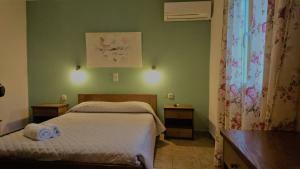 The self-catering Doras Zante Studios & Apartments open onto terraces or balconies with views to the pool or garden. Kitchenettes come with a 2-ring cooker, kettle and fridge. Air conditioning, safe and TV are also included in each unit. All rooms protected from mosquitoes and insects with screens. Shops, restaurants and bars are 150 feet away. Wi-Fi is free in the entire hotel. Offering free on-site parking, the family-run complex is around 1.9 mi from Zakynthos Town, and 3.7 mi from the airport. This property also has one of the top-rated locations in Argassi! Guests are happier about it compared to other properties in the area. This property is also rated for the best value in Argassi! Guests are getting more for their money when compared to other properties in this city. 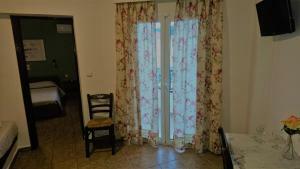 When would you like to stay at Doras Zante Studios & Apartments? -a bathroom with a bath or a shower cabin. Πλήρης κάλυψη Wi-Fi 100 Mbps μέσα και έξω από τα δωμάτια, τα διαμερίσματα έχουν σε κάθε δωμάτιο από 1 Α/C και 1 TV. Είμαστε όλο το 24ωρο στο κατάλυμα και στη διάθεση των επισκεπτών. House Rules Doras Zante Studios & Apartments takes special requests – add in the next step! 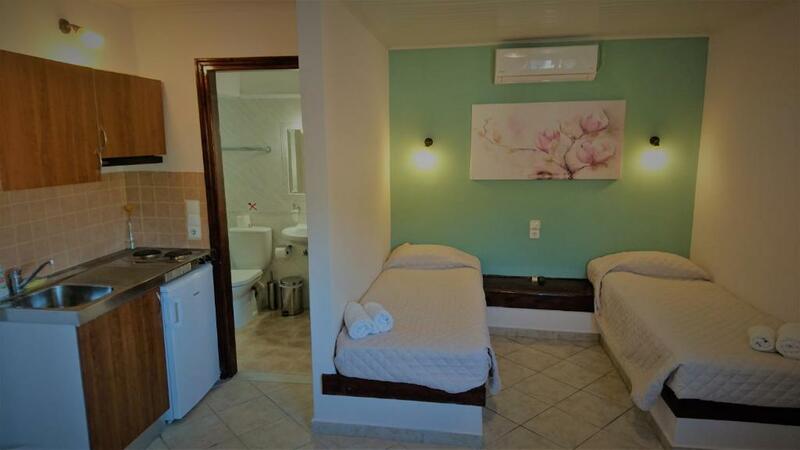 Doras Zante Studios &amp; Apartments accepts these cards and reserves the right to temporarily hold an amount prior to arrival. Doras Zante Studios & Apartments accepts these cards and reserves the right to temporarily hold an amount prior to arrival. Please note that free WiFi is VDSL 50 Mbps. Please inform Doras Zante Studios & Apartments of your expected arrival time in advance. You can use the Special Requests box when booking, or contact the property directly using the contact details in your confirmation. Bar wasn’t open. Not sure when or if it does. Small pool, and the bar (at least it looked like it) was never open during our stay. few personal care products in the bathroom . The room wasn’t cleaned very good. There were spider-webs in the rooms and spiders of course. Also in the shower there were a lot of hairs stackked together like they tried to clean it but forgot to pick it up.